I needed something for a accent wall. This is really cute and the perfect decor, for my OSU man cave. It’s a great size and Excellent quality. 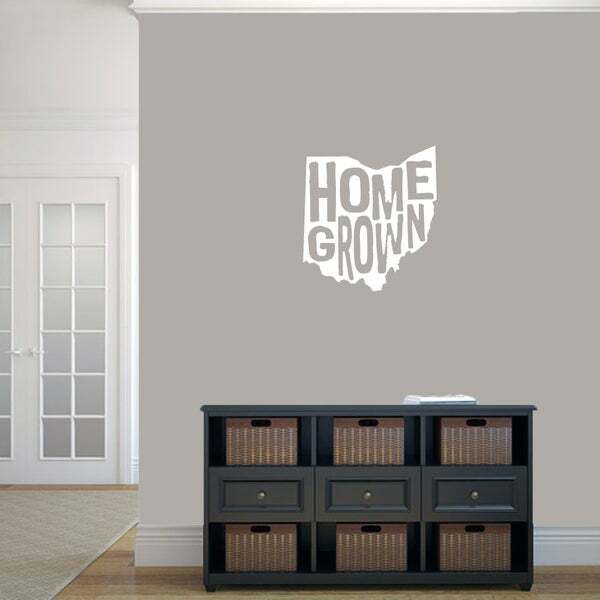 Decorate a wall with style and color with this Homegrown Ohio wall decal. This vinyl decal is available in 26 colors to coordinate or complement your decor. Decals measure tip to tip and can be applied to any smooth surface.